DIS500 is a programmable display for control panels, suitable to communicate through Modbus RTU protocol on serial port RS232 and RS485. It can be used as a slave device for displaying the data managed by the WE300 and WE500. Having a Master port RS485 on board it can also interrogate slave devices (as for example the expansion modules XP500) and operate as a Modbus gateway. The configuration of the functions and registers of DIS500 can be performed through the Software DIS Configurator. 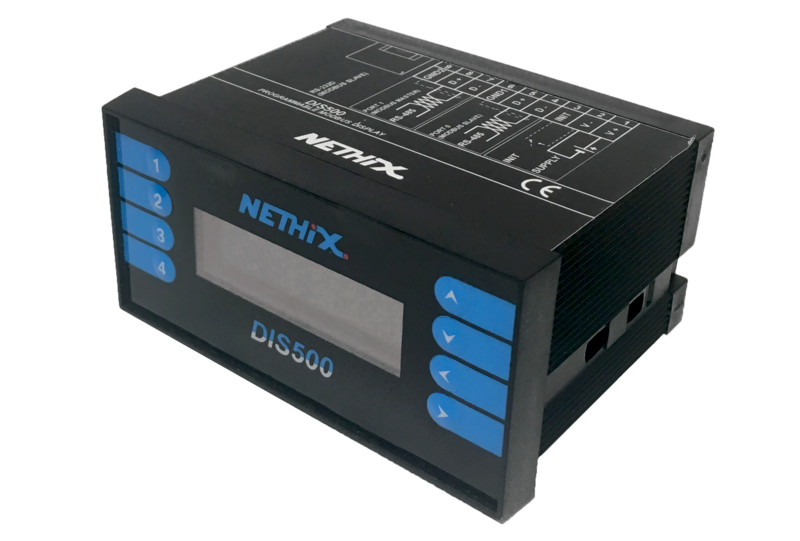 DIS500 is compatible with the whole range of Nethix products, nevertheless it can be used with any other device, supporting the standard Modbus protocol. In this section all technical specifications of the device are described. Insulation 1500 VAC 50 Hz, 1 min. The device DIS500 can be mounted on panel using the included assembly kit. It’s recommended to install the display in a sheltered place repaired from vibrations, and to avoid the installation near power signal cables, that might generate disturbance. The buttons allow to browse through the graphical pages. The buttons have no effect, if a single page is loaded. In order to enter the preset Menu, where it’s possible to change the value of the configured registers, keep the button pressed and press . Use the buttons and to select the parameter to be modified. Once found the desired parameter, press to highlight the first character of the parameter and then use the buttons and to scroll the available numbers/characters. Once set the required character/number on this position, press the buttons and to skip to the following (or to the previous). To confirm the modifications press the button ; in alternative, to escape and cancel the modifications made, push the button . For entering the config Menu, it’s necessary to pass through the preset menu. From the preset menu, press the button . Status it shows the operative condition of the device: RUN means that the device is working, STOP indicates that no program has been loaded in the device yet. To select the parameter, that has to be changed, it’s required to push the buttons and to scroll up and down the list. Once found the required parameter, push the button to change it and use and to scroll through the different available options.  To confirm the modifications, just press the button , or press to cancel the modifications and return to the main page. On the backside of the DIS500 are available all clamps for the power supply connection, for the serial ports and the RJ45 connector. 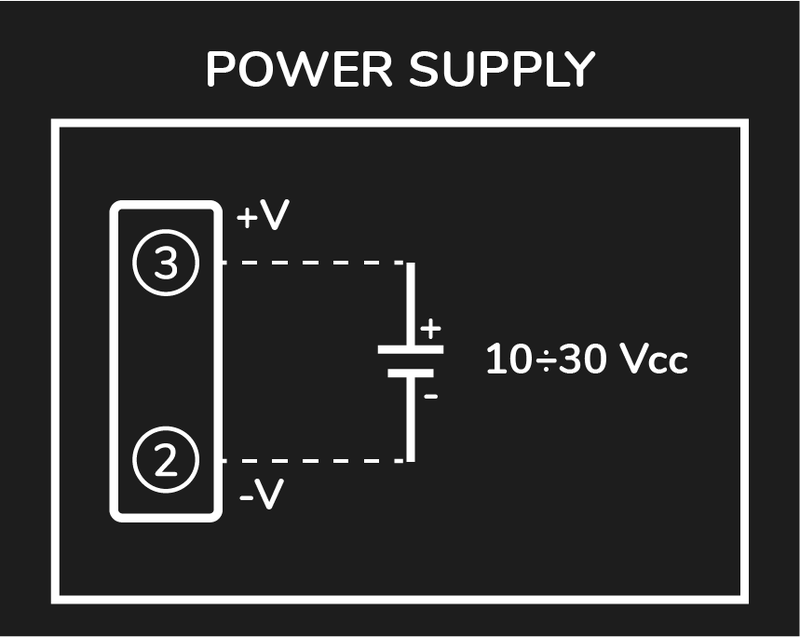 The power supply range supported by DIS500 is of 10/30VDC. At any time the DIS500 can be set in INIT mode, in order to have it back to a known condition and be able to communicate with it. 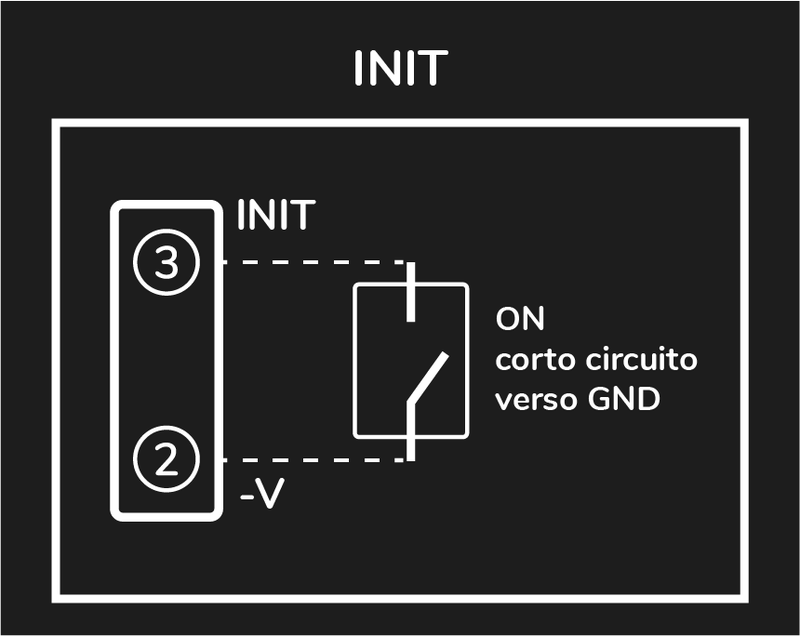 For restoring the INIT mode, make the connection as shown on the picture below, having the device turned off. Using the above mentioned parameters and the software DIS Configurator, set a speed value and a slave address. To make the modifications effective, just turn off the DIS500, remove the connection to the clamp INIT and reboot the device. Nethix products are designed for typical use in industrial automation and/or home applications. If you plan to use Nethix products in special applications where anomalies and discontinuity of service can have serious effect on human life or can cause physical or material damages, or where extremely high levels of reliability are required (for example in aerospace systems, in atomic energy control systems or n electro-medical devices), please contact Nethix for support to your particular application. Nethix is not responsible of damages caused from its products if such applications are not previously authorized. Nethix will communicate the RMA number, in order to start the return procedure of the product. The delivery of the goods shall be arranged DDP at Nethix premises. Products returned without factory seals will be automatically treated as out-of-warranty repair services.